Kent Krueger is a detailed, results-oriented, people-focused Certified Public Accountant (CPA). He has over 22 years corporate experience with American Express [AMEX] where he won a Chairman’s Award for Innovation and a Chairman’s Award for Cost Savings. He started at AMEX as a General Ledger Analyst in 1990 and continuously moved up to positions of increasing responsibility culminating in position as Finance Manager-Global Finance Operations Risk Management where served as relationship leader responsible for managing operations risk with AMEX Finance Partners. He is proficient at working as a team leader acting as liaison between a company, its internal departments, and outside vendors. Skilled at hands-on multi-tasking, problem-solving and in designing and implementing new financial methods and procedures in a fast-paced environment requiring quick thinking, attention to detail, and accuracy. Graduated from Arizona State University in 1988 with a Bachelor of Science in Business. Dr. Keith Bjork is a board certified orthopedic surgeon with over 24 years of clinical and surgical experience. He has been actively involved in biologic therapy and Amnio Technology for the past 6 years. His interest lies in helping develop biologic therapies that can potentially treat many of the orthopedic issues prevalent in our society. He is committed to helping find cures and solutions, rather than just treating symptoms. Dr. Bjork has helped educate other physicians by visiting clinics, providing clinical knowledge, and giving educational lectures. Jaehyun Kim, Ph.D. is a Bioengineer with over 20 years of expertise in tissue engineering and regenerative medicine with a focus on wound healing and orthopedic research. 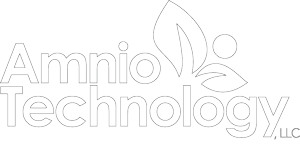 Dr. Kim joined Amnio Technology, LLC as Principal Scientist in 2015 where he is responsible for leading the scientific research and development, validation and processing of novel products and technologies derived from human placental tissues. Prior to his work at Amnio Technology, Dr. Kim served as a Research Fellow at the Wake Forest Institute for Regenerative Medicine (WFIRM) for 6 years, which is one of the leading institutions in the field of biotechnology and regenerative medicine for developing replacement tissues and organs. In this role, Dr. Kim managed interdisciplinary teams and directed multiple projects. Dr. Kim developed oxygen-generating scaffolds for dermal wounds, established novel 3D bioprinting techniques for skin substitutes to clinical studies, and generated stem cell-based therapy with composite scaffolds for orthopedic applications. Through 3 years of post-doctoral research in Bioengineering at the University of Pennsylvania, Dr. Kim developed a novel controlled delivery system of osteogenic factors and studied mechanisms of cell-biomaterial interactions for osteogenesis. In recognition of his outstanding research, Dr. Kim received 7 awards. Dr. Kim holds a B.S. in Biology and M.S. & Ph.D. in Biomedical Engineering from University of Iowa with a focus on Biomaterials and Biomechanics, respectively. Ron is a Quality Management Professional with over 35 years experience working in FDA regulated industries that have included small volume parenterals, pharmaceuticals, Class I-III medical devices, and combination devices. Ron has spent his entire career in various roles in Quality Assurance and Quality Engineering leading and supporting initiatives in new product development, manufacturing, global auditing & compliance, contract manufacturing, and supplier management. Such initiatives primarily have been in the establishment of effective operational quality disciplines and methodologies in Quality Management Systems, Development, and Compliance. Ron served in the U.S. Air Force and Air National Guard as a Base Hospital Laboratory Supervisor/Technical Sergeant for 6 years before beginning his career in Quality Management. He holds a Bachelor of Science degree in Business Management from Maryville University – St. Louis and has been certified with the ASQ as a Quality Engineer, Quality Auditor, and Quality Manager. Larry is the Operations Manager at Amnio Technology, LLC. Larry has been in the medical products industry for over 25 years, serving in leadership roles related to new product development, operations, supply chain, supplier management, and continuous improvement. Larry also has had previous responsibility for manufacturing-based IT implementations, product transfers, and supply chain systems. Larry has held other senior leadership roles within medical device companies in Minneapolis, MN, Flagstaff, AZ, and Switzerland along with, Puerto Rico, as Project Leader for Manufacturing Technology Transfer. Larry holds a Bachelor of Science degree in Business from Arizona State University, an MBA with emphasis in Operations from Ashford University, and is a certified Lean Sigma Black Belt. Rachel Schwartz-Olson graduated in 1989 from Minnesota State University with a double major in Accounting and Finance. In 1990, Rachel began her accounting and finance career in Phoenix, Arizona with Valley National Bank as a staff accountant. Rachel obtained her Certified Public Accountant license in 1994. Throughout her career at the bank, she was promoted to an Assistant Vice President/Accounting Manager in 1994, to Vice President/Finance Manager in 1997. Additionally, while at the bank, she assisted in system conversions during the many bank mergers and acquisitions. Rachel also assisted in the successful conversion and training of accounting departments around the country to a standard budgeting system. Since 2001, Rachel has managed a corporate fiduciary business and a CPA business started by her and her husband. She has successfully managed relationships with clients of both these companies and has numerous dealings with insurance companies, attorneys and banks as well as preparing client financial statements and tax returns. In 2015, Rachel started in the accounting area with Amnio Technology and accepted a Controller position in November of 2016. Rachel is dedicated to making Amnio Technology one of the premier businesses in their industry. Scott Day is the Director of New Sales for Amnio Technology. He has over over 15 years of experience in the medical device industry. His experience in biologics and hardware of the lower extremity has him uniquely suited to consult Amnio Technology on how best to build out its distribution network. Scott has a BA from North Carolina State University and an MBA from the University of Mississippi. David is the Sales and Account Manager of our existing distributor and sales agent partners. David has been in healthcare for over 25 years, with a focus on sales and sales management for the last 15 years. In his last role, David was the Western U.S. Sales Manager for a large Pulmonary Diagnostics medical device company. He has successfully negotiated and won multi-site, enterprise level sales, as well as winning sole source GPO contracts during his career. David holds a B.S in Biology from the University of Central Oklahoma. William has over 20 years of experience in the Pharmaceutical and Medical Device industry, specializing in quality assurance roles for manufacturing facilities in the Midwest. Throughout his career, William has held roles with Quality, Compliance/Regulatory, Engineering and Validation responsibilities, including Manufacturing Support. Leading projects with Research/Development, Process Development, Clinical Manufacturing and Commercial Manufacturing applications, in both Proprietary and Contract Manufacturing Environments, has provided William with insight to differing approaches in regards to process and industry best practices. Throughout his career, William has worked closely in Aseptic Formulation, Fill and Finish, as well as other sterilization and depyrogenation methodologies. William has experience with various Parenteral Products, Medical Devices, Ophthalmic Solutions, Inhalation Solutions, and Nutritional Products. William holds undergraduate degrees in the Arts and Business, and is currently studying Biochemistry at the University of Arizona.